This time, the recipes come from a different book, ref. WP/2/2. We are not completely sure how old it is or to whom it belonged but we have some clues: the year 1841 appears on one of the pages, and a letter (with a remedy ‘for a sore Breast’) addressed to Mrs. Webley Parry of Noyadd Trefawr was loose amongst the pages. 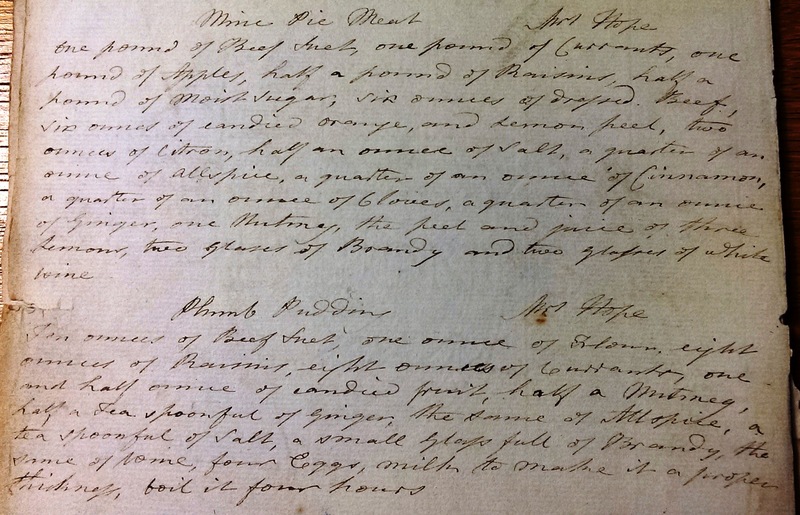 Ten ounces of Beef Suet, one ounce of Flour, eight ounces of Raisins, eight ounces of Currants, one and half ounce of candied fruit, half a Nutmeg, half a Tea spoonful of Ginger, the same of Allspice, a tea spoonful of Salt, a small Glass full of Brandy, the same of Wine, four Eggs, milk to make it a proper thickness, boil it four hours. 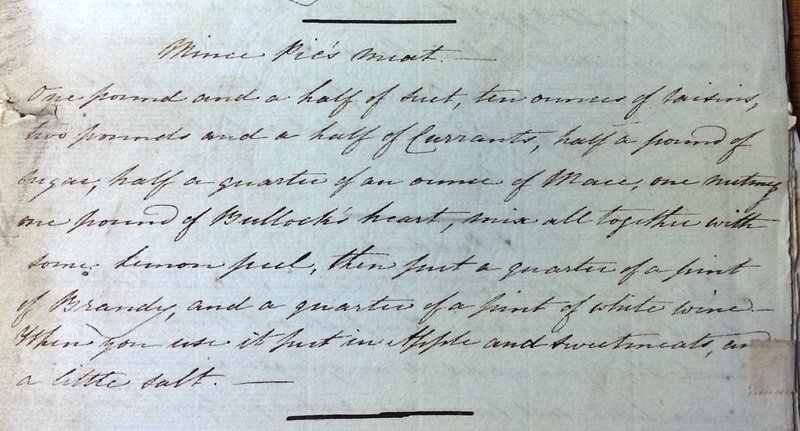 This entry was posted in Our favourite documents, Recipes and tagged Christmas, Christmas pudding, household, recipe, Webley-Parry. Bookmark the permalink.